Water Damaged Rug? We’ll Restore It Like New! We offer restoration for water damage and mold/mildew remediation! 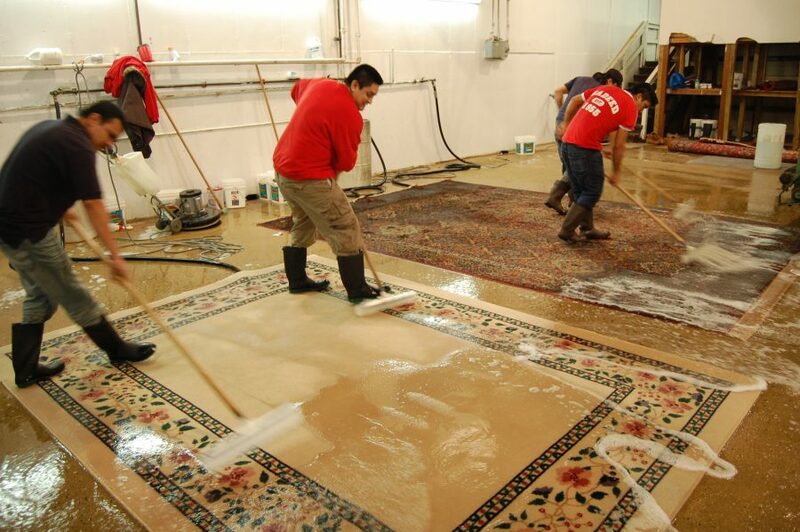 Contact Hadeed today if your rug has severe water damage – we’ll arrange for pick up and delivery. Pets Love Chilling on Your Rug? We’ll Remove Any Stains and Odor Left Behind! Does your pet love relaxing on your Oriental rug? We specialize in pet issues for your carpet, whether it be stains, repairs or odor removal! We have a variety of carpet cleaning and repair service options for you to choose from. Contact Hadeed today to pick up from Centreville, VA or any of our other service areas in Northern Virginia. Our 3 for the price of 2 rug cleaning deal is still going on – grab today or anytime before June 17th! For any rug maintenance needs you may have, call Hadeed! 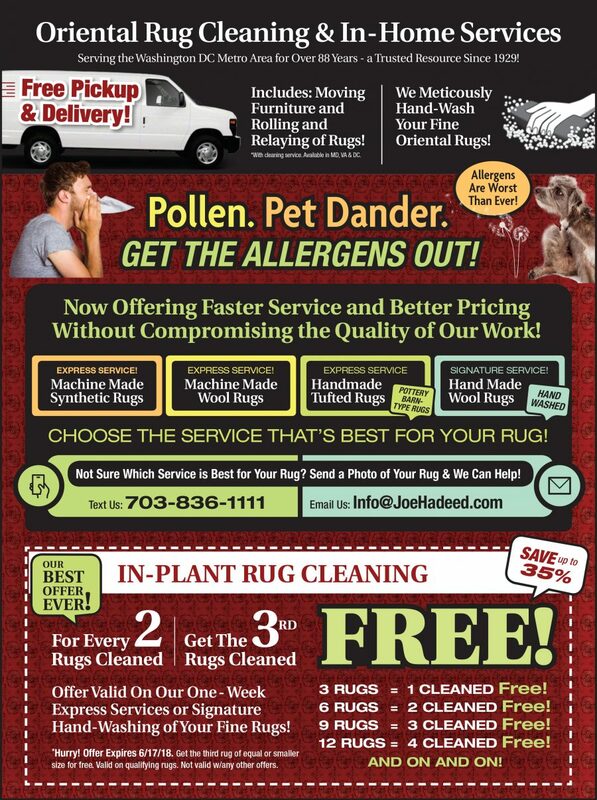 We’ll Remove the Allergens and Pet Dander Off Your Rug! 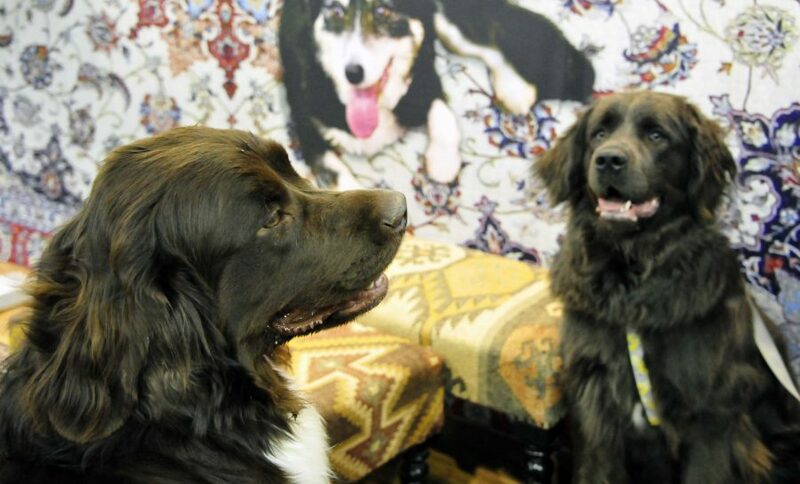 Need to get pet dander and allergens out of your rug? We offer a variety of cleaning services! Text us pictures of your rug at 703-836-1111 and we’ll advise you on the best treatment. 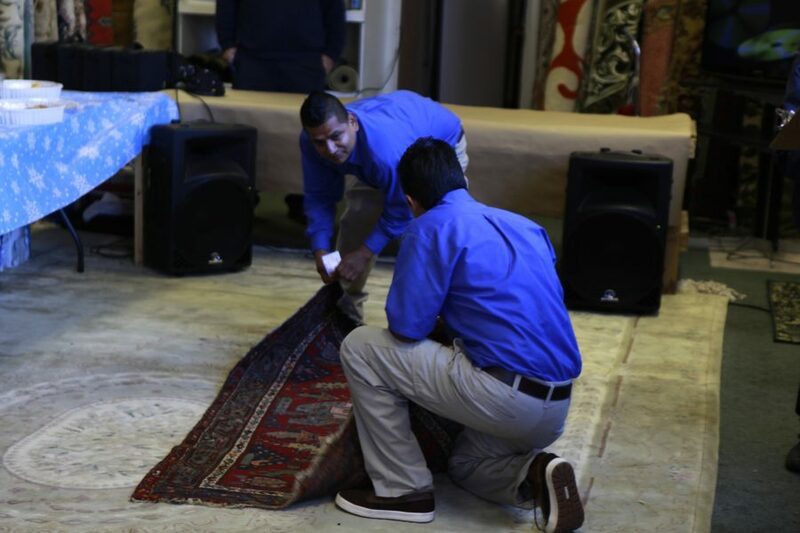 If you get 2 rugs cleaned, you get the 3rd rug cleaned for free – offer available until June 17th! Call Hadeed today! We offer pick up and delivery in McLean, VA and other areas in the Northern VA region. The First Hadeed Experience Will Be a Positive One! From rug pick up to cleaning to delivery & placement in your home, we value excellent service. Call Hadeed for your rug cleaning today!